The race was red-flagged due to an early crash that blocked the track, as Jose Maria Lopez slid into the wall at the Turn 17/18 chicane - causing Gary Paffett and Jean-Eric Vergne to pile up behind him and several other drivers to become stuck. Lotterer had held the lead from pole ahead of Evans and a fast-starting Stoffel Vandoorne, and when racing finally resumed after a 45-minute delay, the DS Techeetah driver held the lead. Evans shadowed Lotterer closely until muscling his way into the lead the Turn 11/12 chicane by with the help of attack mode with 16 minutes left on the clock. Evans was given a warning by the race director for his robust move, but no penalty was issued. The Kiwi driver almost undid his hard work by failing to activate attack mode for the second time, allowing Lotterer to close back in, using both of his uses of the power boost. But Evans was just able to keep ahead when he went wide for his second attack mode use. Lotterer remained close in the final minutes, but was unable to find a way back ahead - with Evans crossing the line with just 0.979s in hand for his and Jaguar's first FE win. The British marque becomes the seventh different team to win a race this season. 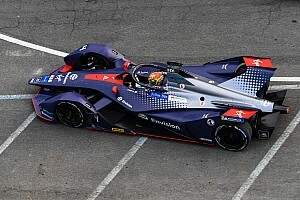 Vandoorne completed the podium for HWA, six seconds behind, while Robin Frijns (Envision Virgin) passed Nissan e.dams driver Sebastien Buemi for fourth late in the race. 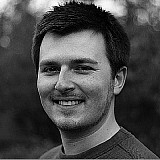 Oliver Rowland made it two Nissans in the top six behind his teammate. 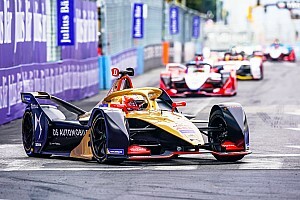 Reigning champion Jean-Eric Vergne (DS Techeetah) came seventh on the road but was demoted out of the points after picking up a penalty for overtaking under Full Course Yellow, giving the place to Audi's Lucas di Grassi. 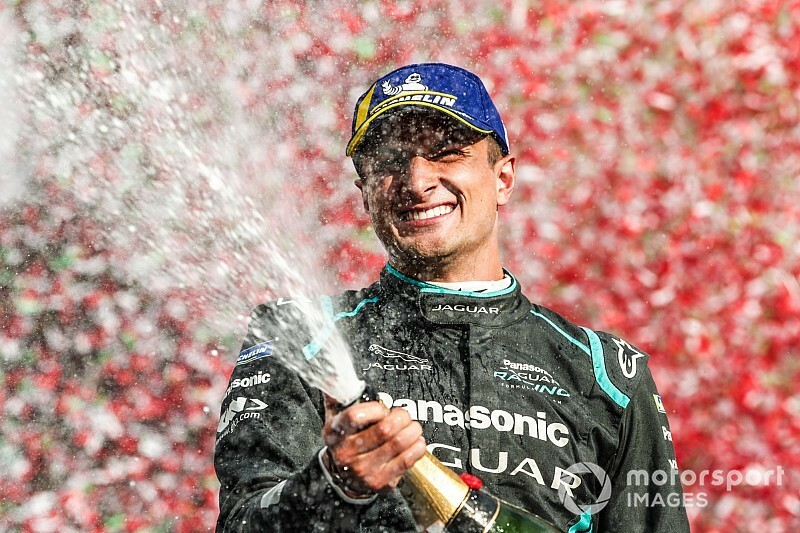 Mahindra driver Jerome d'Ambrosio took the championship lead after being promoted to eighth by Vergne's penalty, the Belgian leading ninth-place finisher Antonio Felix da Costa (BMW Andretti) by a point. Pascal Wehrlein completed the top 10 in the second Mahindra. Sam Bird (Envision Virgin) narrowly missed out on a point in 11th, recovering from being forced into the wall by Jose Maria Lopez (Dragon Racing) on the opening lap of the race - with the red flag giving his team the chance to repair his car. 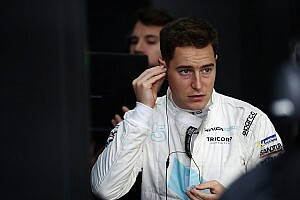 Both Venturi cars of Edoardo Mortara and Felipe Massa stopped on-track with suspected driveshaft problems, while Paffett's HWA car didn't take the restart after the red-flag causing crash with Vergne. 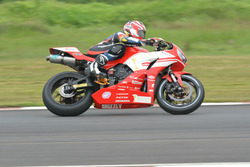 Maximilian Gunther ran out of energy on the final lap in a one-off return for Dragon Racing and therefore failed to finish.